At nighttime, the woods are full of sounds. A lot of animals are creatures of the night. Owls, bears and even deer can be very active at night. No animal I know has figured out how to “walk” quietly in the leaf and stick littered forest. While deer and other animals will often choose trails, most of the time they are crunching through the forest. They also communicate and make sounds. I can identify 3 different species of owls just by their hoots. Some of the hoots don’t sound like “hoot” and are quite alien to the untrained ear. 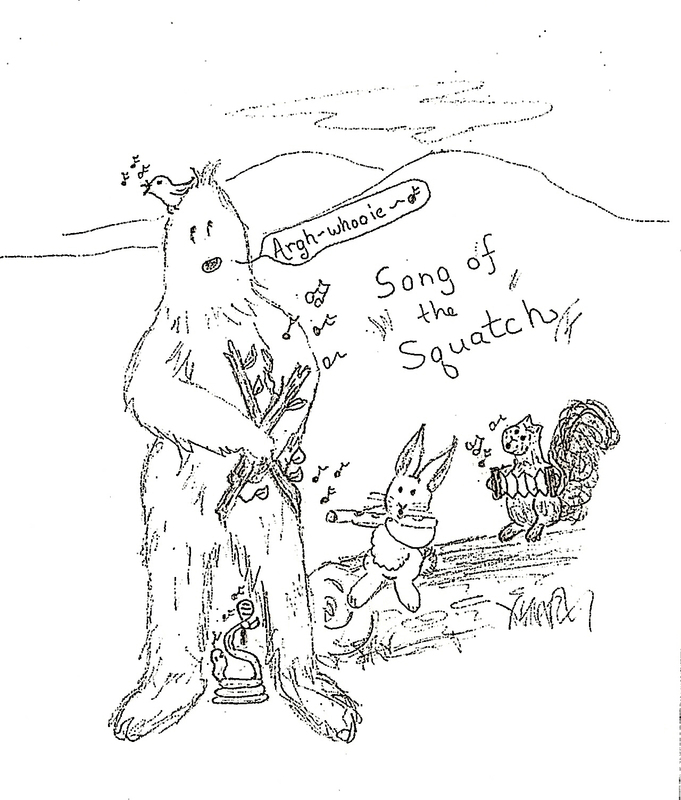 Oh give me a home, where the Squatches all roam…. Bigfoot is supposed to “bang sticks” together. I know from living in a heavily wooded area in the country that you do hear a lot of stick banging and other tree noises. That’s because the wind at tree top level can be much different than wind at human level. Often I will look UP to see how hard the wind is blowing. A sturdy tree will not move at the trunk, however up high the tree top is waving back and forth and tree limbs knock and rub. I did video tape during a fairly windy day. While not the best video, you get the sounds of the trees rubbing. Knocking is also common for the same reason. What’s happening at tree top can be totally different than what you experience on the ground. I should say most Bigfoot hunters, the serious kind, aren’t fooled by trees rubbing together. But they also know there are lots of sounds that can be mistaken for “Bigfoot” when they are simply rarely heard or the result of someone not familiar with the local flora and fauna. The lack of Bigfoot bodies from my neighbors, who manage to shoot everything else that lives in the woods, tells me there are probably not very many Bigfoot in the woods of New Hampshire. If Bigfoot is alive, my hunting neighbors would kill it. They also will skin it and eat it. Bigfoot will be part of the food chain if he ever shows up in Antrim, New Hampshire. I really wonder what the status of Bigfoot would be if they are proven real? Bears are large creatures that are not protected (bear season is big, and also you are allowed to shoot one if you feel threatened). Former mythic status would not be enough to protect a creature. I anticipate eventually someone would stick antlers on a stuffed Bigfoot and then sell it as a Jackasquatch. Bigfoot remaining an enigma may be the best protection for a creature that if it does exist, and the secrets of just where large breeding populations live is discovered, will become the ultimate hunters trophy. I’m not sure that banging sticks and blasting sounds via huge loudspeakers, is going to result in any Bigfoot definitive sighting. I always hear it is what attracts a Bigfoot, yet it may be time to try something else. A stick banging back while supposedly indicative of Bigfoot communication, can also simply be the result of a windy day. If you wait long enough, you’ll hear it, and other noises. The forest is rarely quiet.